LOCAL TRADE - JUST ARRIVED!!! 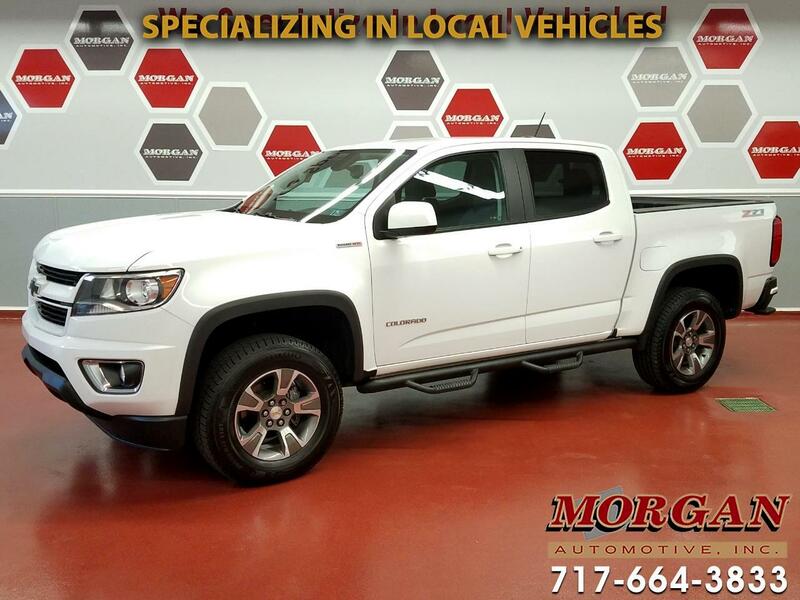 RARE 2016 CHEVY COLORADO CREW CAB 4X4 WITH 3.6L DURAMAX TURBO DIESEL****This is an awesome mid-size truck that is very-well equipped with heated leather seats, remote start, Chevy MyLink touchscreen infotainment center with AM/FM/CD/XM/Bluetooth radio with Apple Car Play capability and Bose Sound System, Navigation and rearview camera, traction control, power equipment, bed liner, black step bars, and tow package with 4-pin and 7-pin wiring harnesses plus trailer brake controller, exhaust brake and tow/haul mode. Has a new PA inspection, fresh oil change, and tires and brakes are in great condition. Comes with balance of factory warranty with options to extend coverage for added piece of mind. Trades are welcome and financing is available.